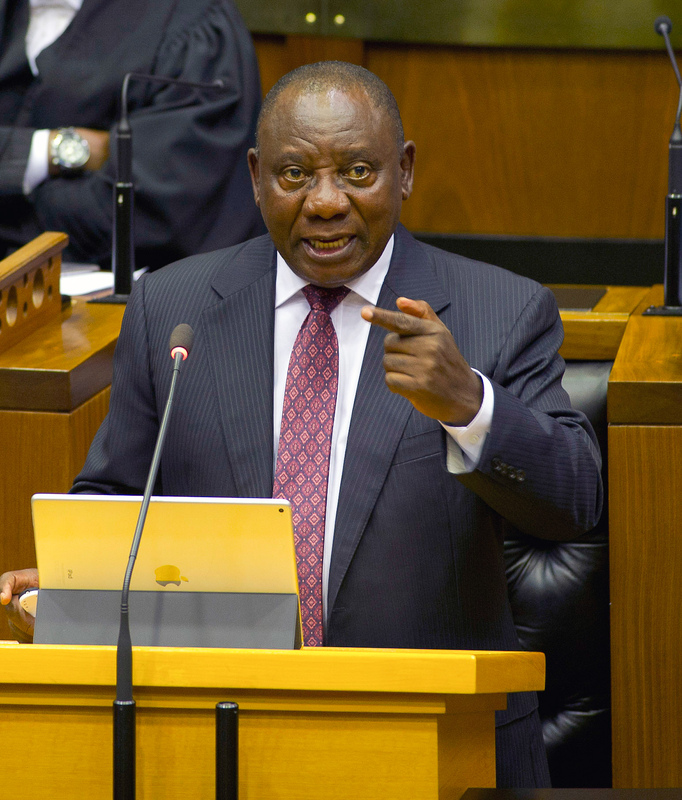 South Africa, said President Cyril Ramaphosa in his first State of the Nation address. achieve better coordination, oversight and accountability. decisively” to stabilise and revitalise SOEs. stakeholders to address structural issues. initiate a process to review the configuration, number and size of government departments. on a path of growth, employment and transformation. women in the country’s economy. Ramp up the role of small business. Establish an advisory Youth Working Group. Youth Employment Service to get interns into private sector. Embrace advances in science, technology, innovation. Attract investment – international investment conference to be held soon. Stabilise vital state institutions, like SARS and the National Prosecuting Authority.